The military says it's taken control, the government declares its defiance — we talk to a freelance journalist on the streets of Istanbul to try to figure out just who is in charge in Turkey. The mood in Turkey is tense as factions of the military attempted a coup to overthrow the government of President Recep Tayyip Erdogan. Thousands of people have come out on the streets where it's unclear who is in control. Forces have blocked bridges and the military has taken over the country's main airport. In a statement, the military says that armed forces have "fully seized control" of the country. But a presidential spokesperson insists that the Turkish government is still in power. 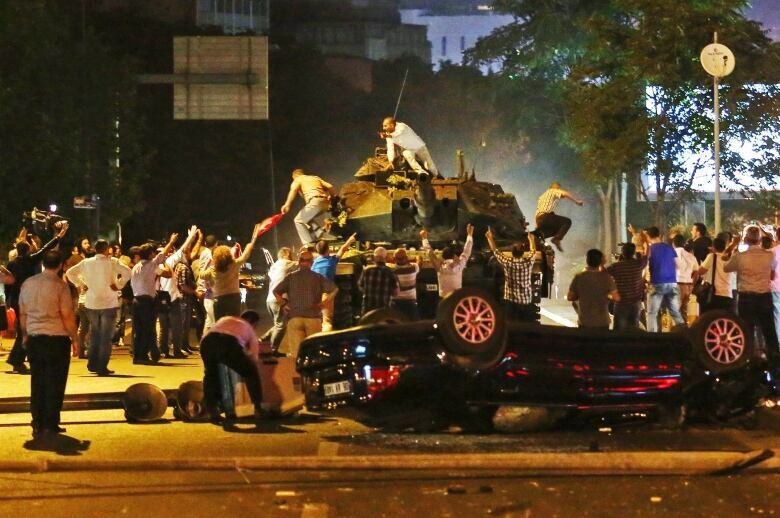 Late Friday night, President Erdogan denounced the coup and said those responsible would pay a heavy price. Earlier Friday evening, As It Happens guest host Susan Bonner spoke with freelance journalist Oz Katerji on the streets of Istanbul. We reached him at Taksim Square as gunfire erupted amongst military personnel and pro-government protestors in a stand-off. "Protestors are currently chanting "Allahu Akbar," which means "God is great" and they are also chanting "military leave" or "military out," Katerji explains. "Oh! Here we go — they're shooting now! It's coming from the police. They're shooting shots in the air!" Take a listen above to our interview with Katerji. Fearing his safety, he cuts our interview short. We've since reached out to him and confirmed that he's alright. Mustafa Akyol is a columnist with Al-Monitor. 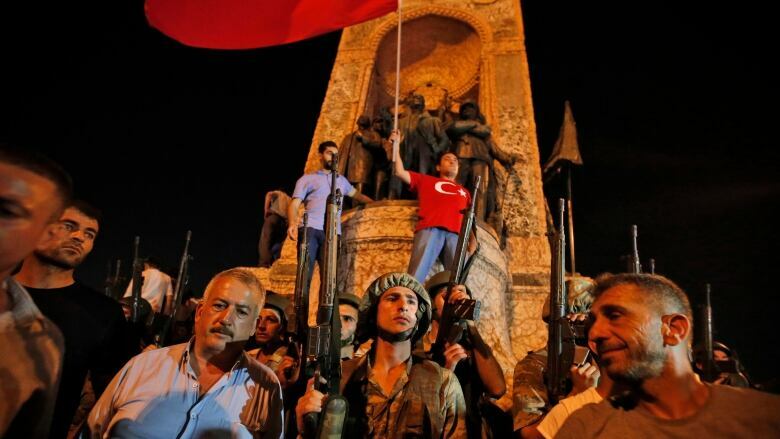 He's also in Istanbul and spoke with As It Happens guest host Susan Booner on Friday as news of the coup first broke. NOTE: Both interviews were recorded on June 15 at approximately 8 p.m. ET. For the latest on this story go to CBC News.